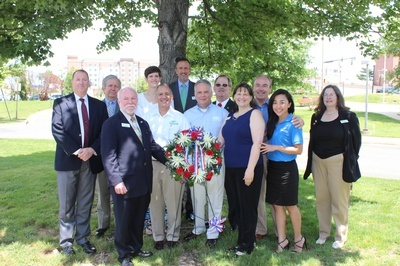 The Greater Springfield Chamber of Commerce Veterans Committee invites you to its Memorial Day weekend wreath laying ceremony at American Legion Post 176. Help the Chamber honor our nation's fallen service members and recognize veterans in the Greater Springfield area. This event will be outdoors and is open to the public. Everyone welcome. Special thanks to American Legion Post 176 and Bugles Across America for supporting the ceremony.